Google have been in the headlines again recently for manipulating search results in favour of their own shopping services, they have been heavily fined and warned that they must change the way they display these results. So the fact that Google talk about trust at all is quite ironic but that is what this post is about… and more importantly, we are going to highlight the possible impact of not having a secure certificate on your website. The debate has raged for a long time in web design and SEO circles as to the potential benefits and drawbacks of either having a secure certificate on your domain (SSL) or switching your domain over to HTTPS from HTTP. We have known for well over a year now that Google will give some favour to these types of sites in the search engine results pages (SERPS) but we have also known that the impact of changing has been minimal and the process cumbersome at best. However Google have made it clear that they expect all websites to start to adhere to their desire for SSL in an effort to protect user data, but rather than steamroller changes they are slowly but surely driving it out with smaller tweaks over time. 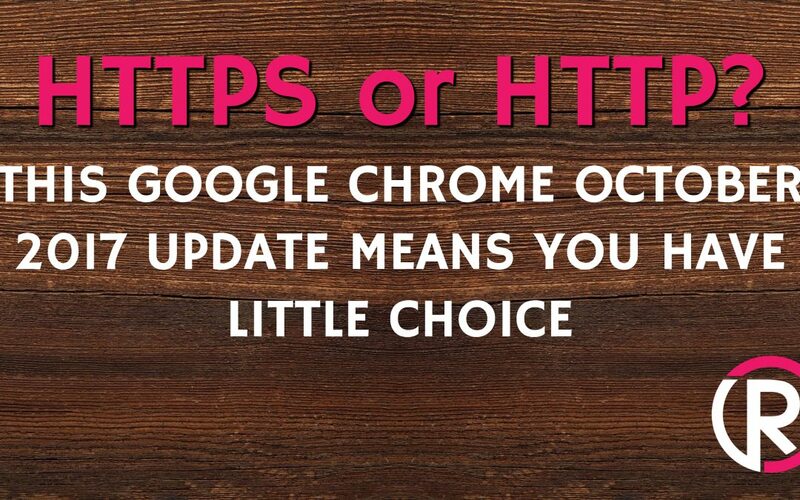 Back in 2016, Google made slight changes to the ranking algorithm to give some benefit to HTTPS sites over HTTP sites. This means that most new websites that are being launched and particularly websites that are launched on platforms such as Shopify, Squarespace and the like are going to be HTTPS compliant. They also ensured with the Google Chrome 56 update that anyone using a non-HTTPS website that had fields for entering credit card data would be marked as ‘not secure’ in the web browser itself to warn their users. These two changes alone led to a reduction of 23% of users navigating to a non-HTTPS site that had credit card data entry points last year alone. Whether you use Google Chrome or not is besides the point. In August 2017, Google Chrome enjoyed its biggest month yet in terms of usage statistics with a whopping 76.9% usage out of any browser. Safari was next in line with 13.1% – so the dominance in this field is clear. Google have now decided to leverage this monopoly again with their upcoming update to Google Chrome (version 62). Any website that has data entry fields (not just credit card information) will now be flagged as not secure at the point of data entry. The impact of this for websites that expect a user to enter simple data (or complex data for that matter) are significant. Our customers are more aware of data protection now than ever before and whilst businesses are generally compliant with their data management in the offline world, it can sometimes be overlooked in the online world – and so Google has a fair point in making this a priority. The problem is that many small business won’t have the expertise to manage the transfer of HTTP to HTTPS successfully without harming their site in some way – or at least they won’t feel that it is something they want to do. The process will depend on a few factors but mainly it will depend on your hosting provider. Very few hosting providers will manage this process for you for free but it is well worth asking them. Particularly if you mention that you are changing hosting providers in order to obtain an SSL certificate more easily. Failing that, you could consider paying a company to do this for you. It is something at Rise Online that we could offer but is certainly not something we would push hard to sell. One area that we would prefer to support you with however is with either your SEO or your website design (or a mixture of the two) which is why for all new clients taking up our new pay monthly website design service (starting at £25 per month) we will manage the change from HTTP to HTTPS for you and include hosting in with the cost ensuring you do not fall foul of this warning and you have a fully functioning and modern website design. If you would like more information on what we have discussed in this article then head to this Google Chrome security update or contact us to see if we can help. 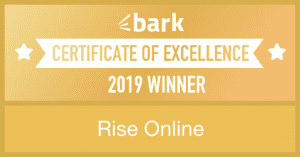 If you are interested in finding out more about how to maximise your business’ online presence then head to https://riseonline.co.uk or check out our Birmingham SEO Agency Page.